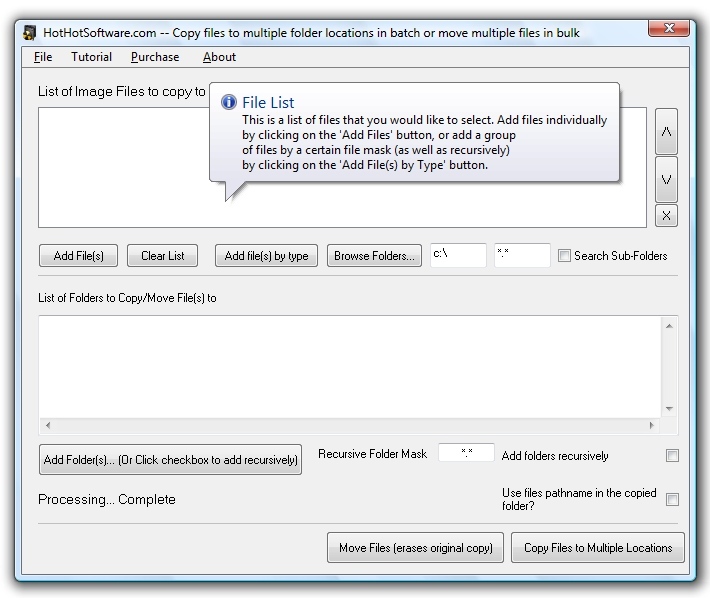 Copy files to multiple folder locations in batch or move multiple files in bulk Software! Get it now! Only $29.95 U.S. (Regular $49.95 US!) for a limited time! 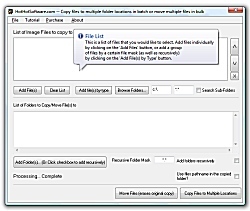 Select the multiple folder(s) that you want to copy files to. Optionally, you can simply copy a set of files from different location to one folder location, great for testing applications. Get and try this file copying software for free right now!